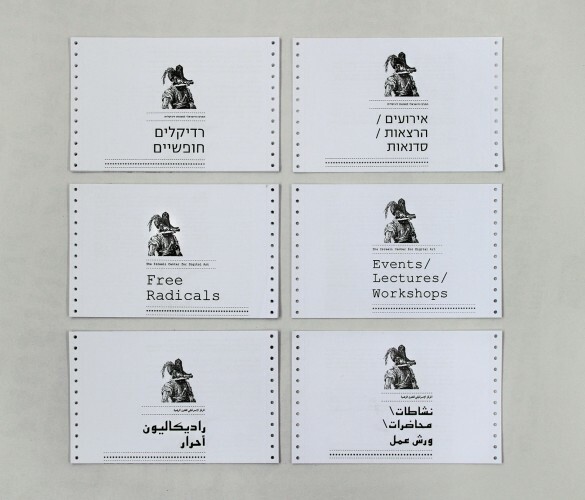 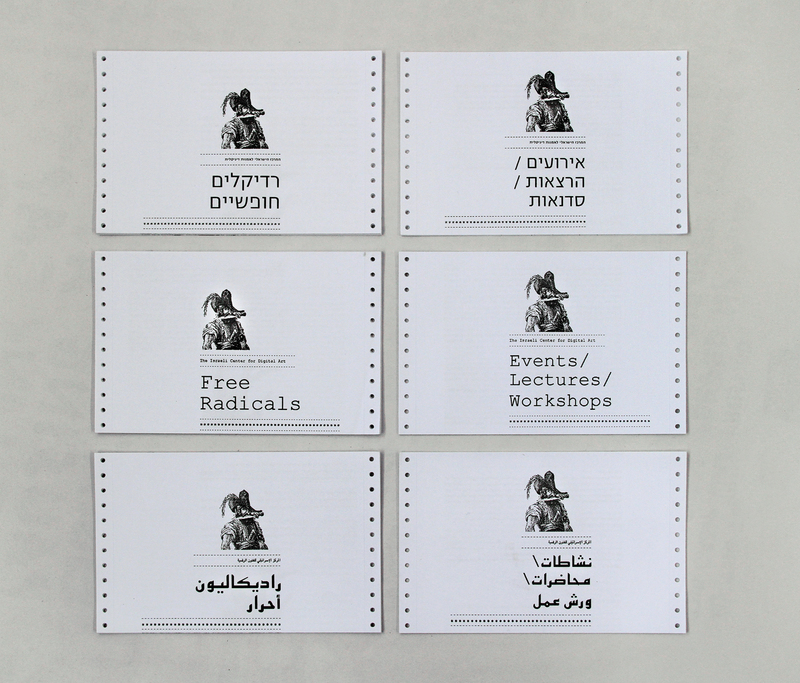 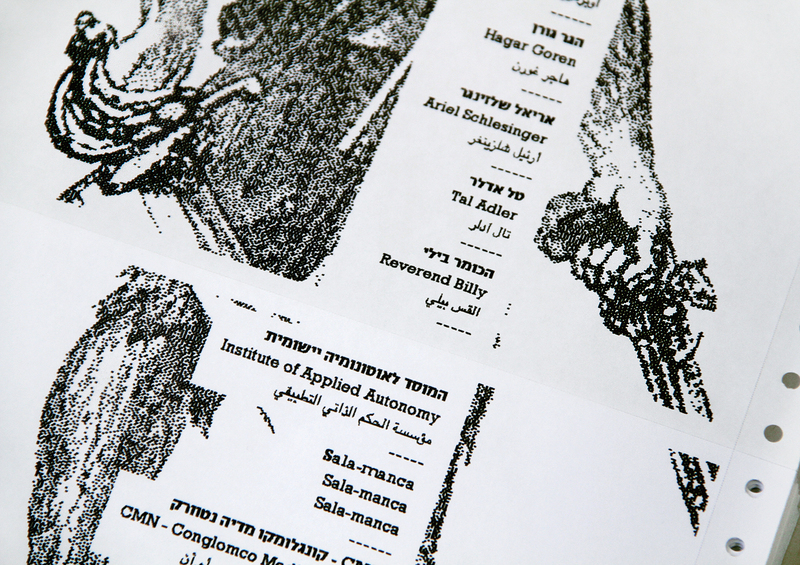 Identity for the exhibition “Free Radicals” which was held at the Center for Digital art, Holon, Israel. 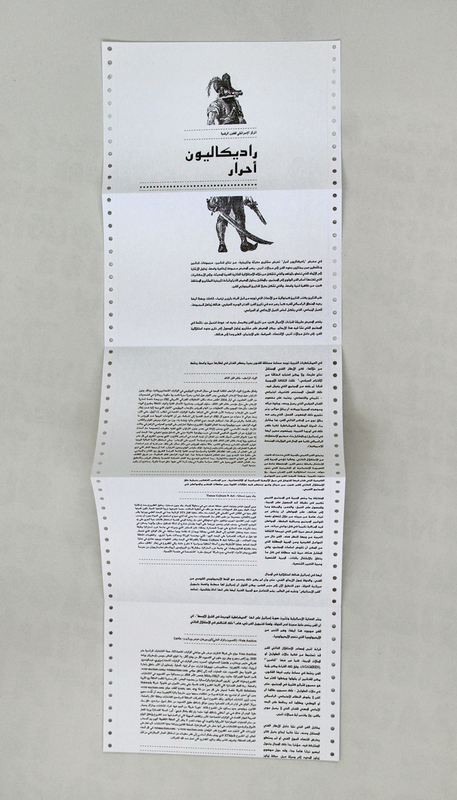 The exhibition strives to point in the general direction in which contemporary artistic autonomy is headed and wherein it is shaped, as well as the possibilities it opens up for art when it strives to operate within society. 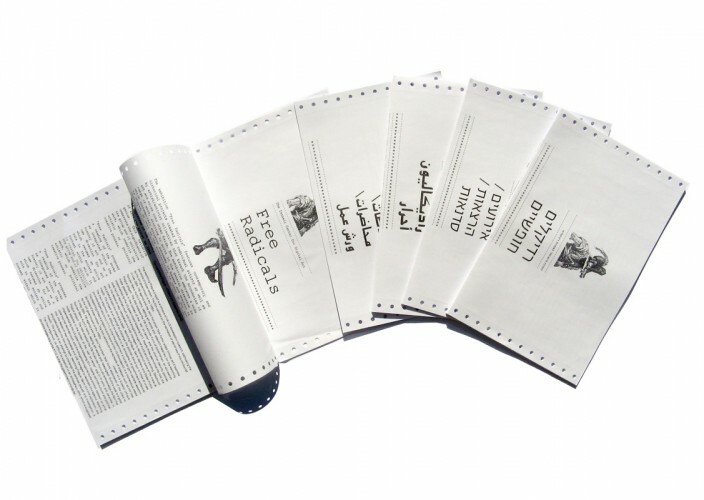 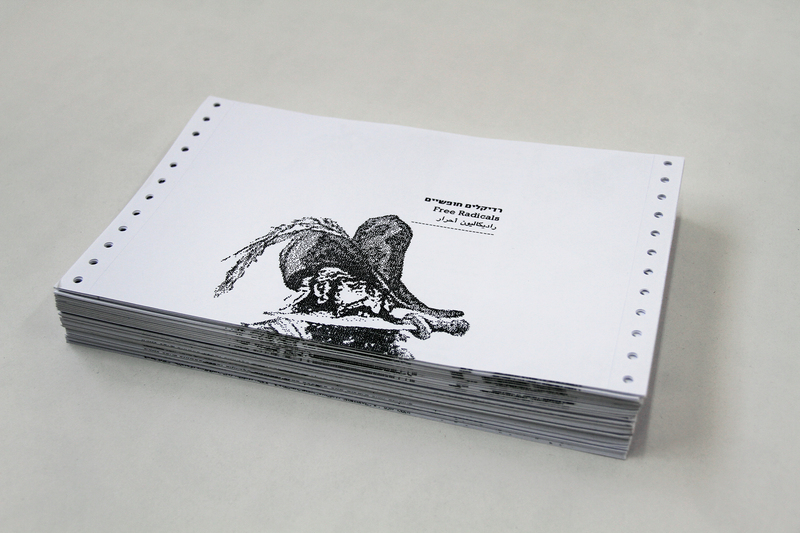 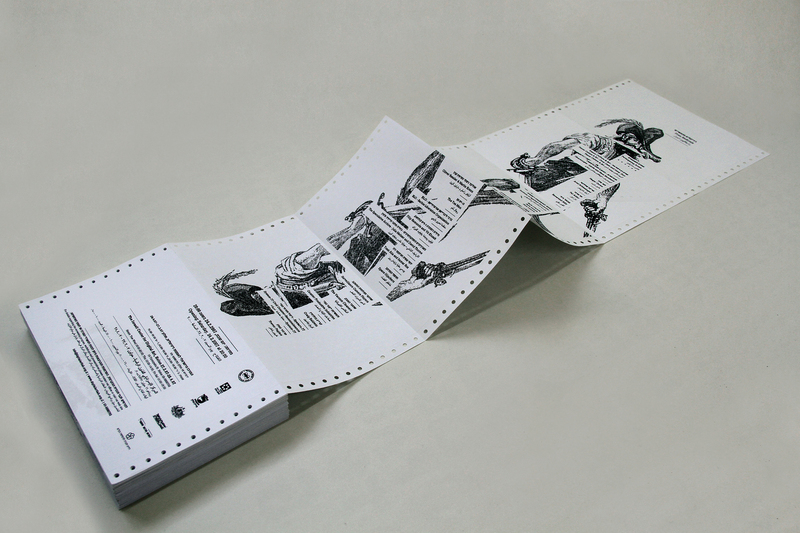 For this a parallel autonomy design procedure was made: A low budget-self maintained dot matrix printer was activated at the exhibition space printing on-demand catalogs, invitations etc’. 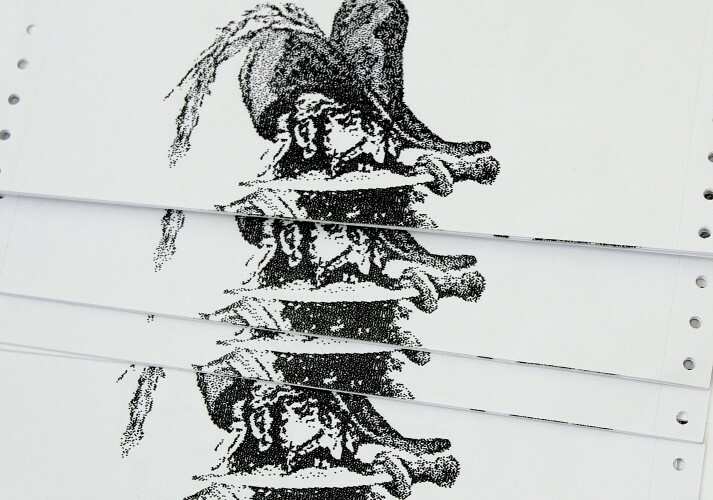 The image of the free willing pirate was processed through a low quality gif animation program and was made to feel like the pirate is about to attack the design material itself.